What is the first thing these guys ask for every Christmas season? 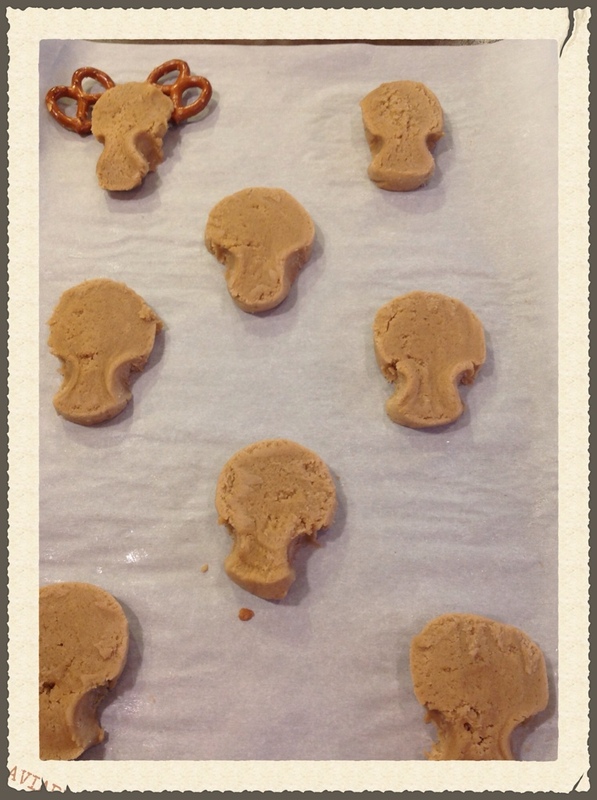 After slicing the dough into 1/4inch-1/2 inch circles, my assistant pinches the bottom to form the reindeer chin. 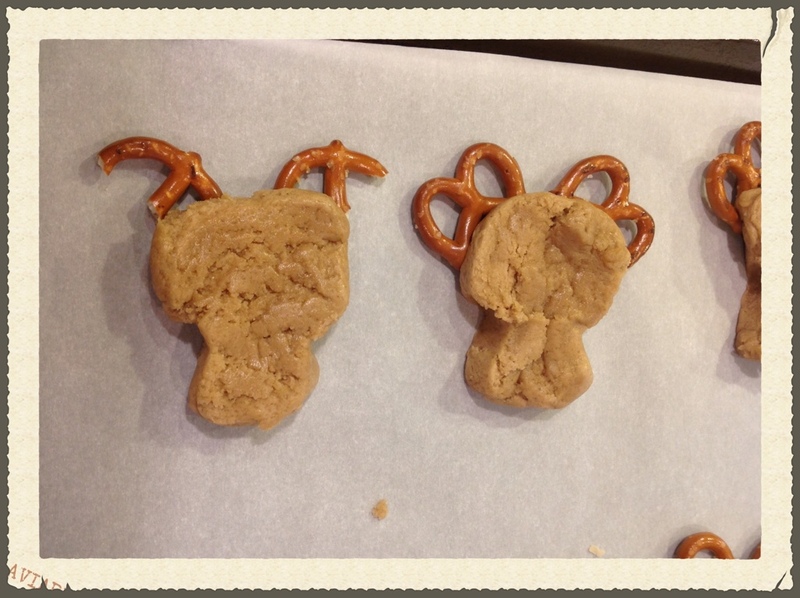 Now add pretzels for the antlers. 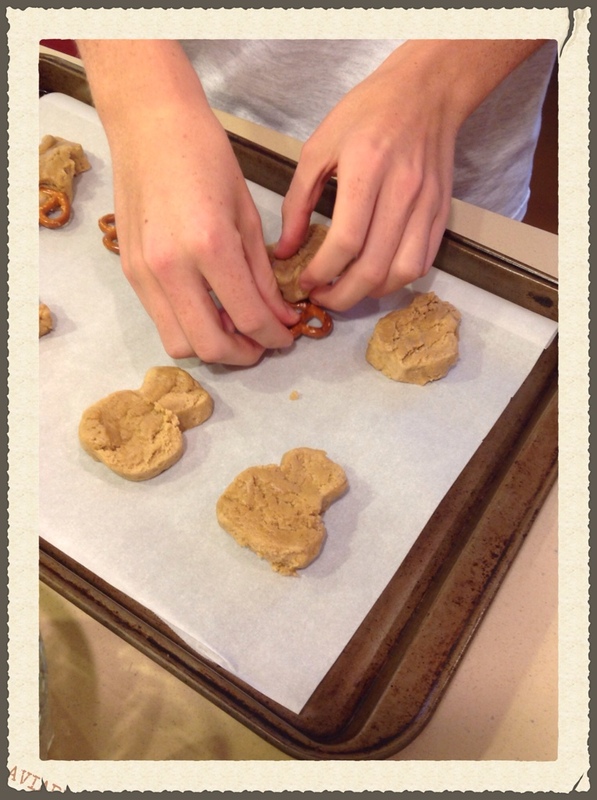 Don’t worry about if the pretzels are broken. 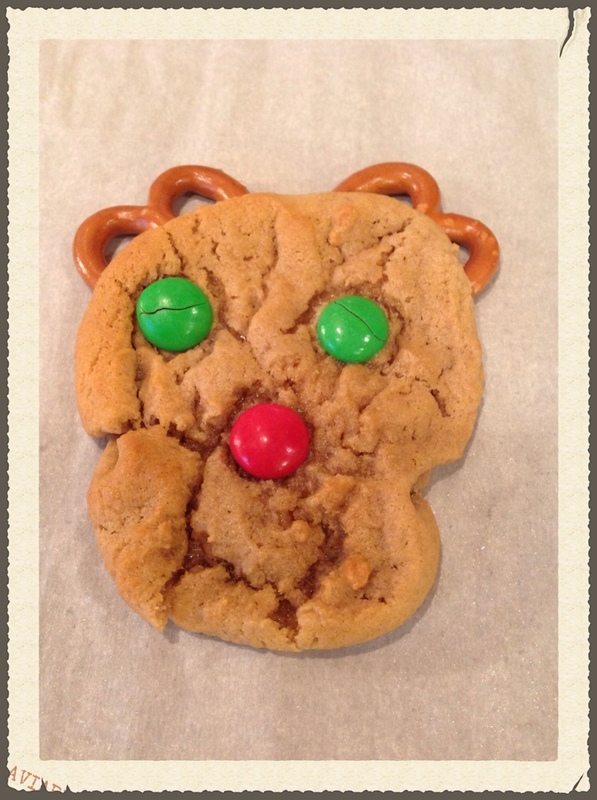 I think it gives the reindeer some character. 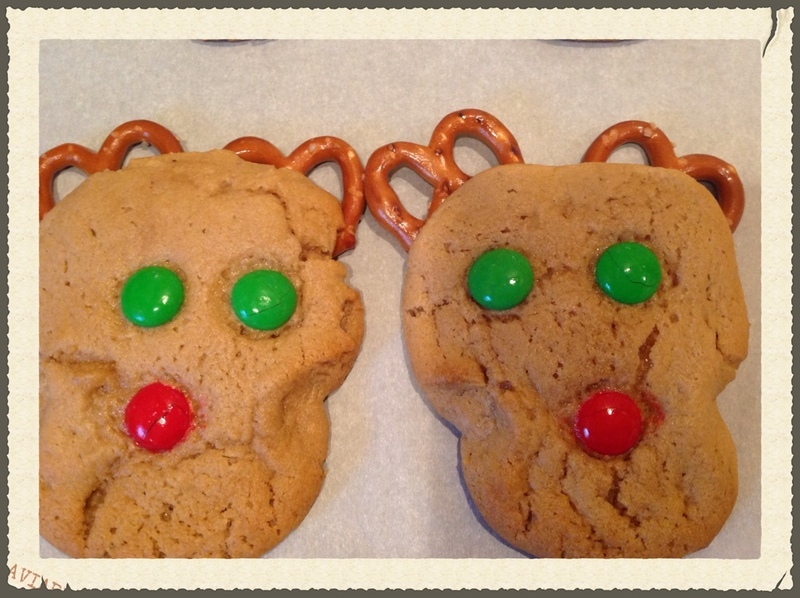 Time to give these sweet guys some eyes and a nose. 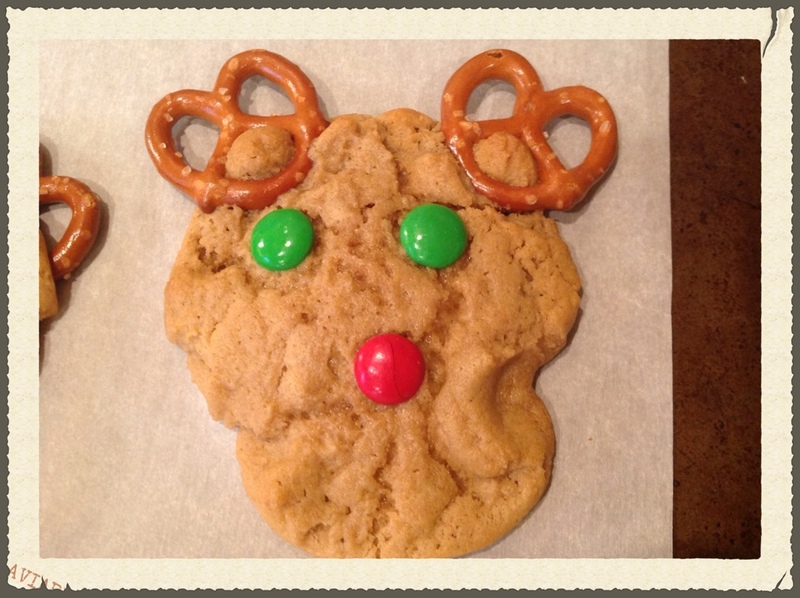 I usually use chocolate chips, turned upside down-flat side up, for the eyes. 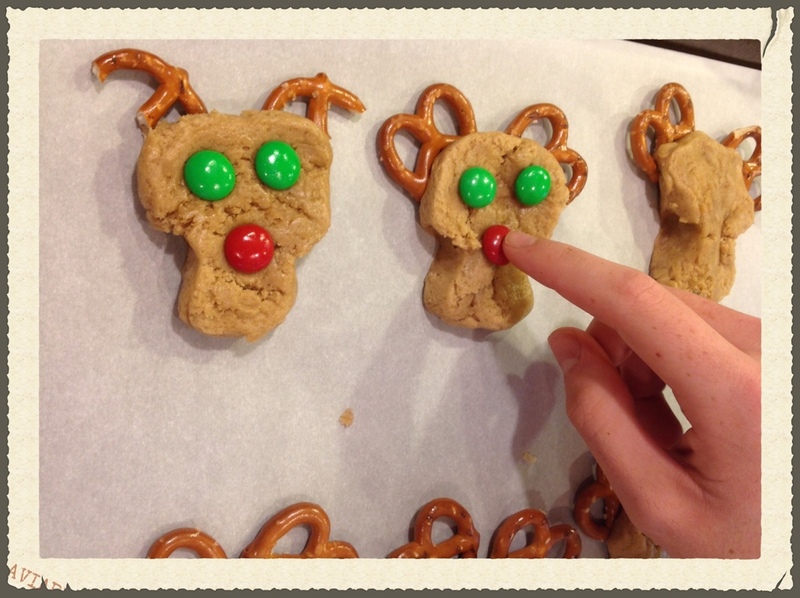 But as you know I don’t have any, so…..We are using the green candies for the eyes and red for the nose. One issue I have to deal with is the number of red M&Ms that are left in my hand. What’s a girl to do? 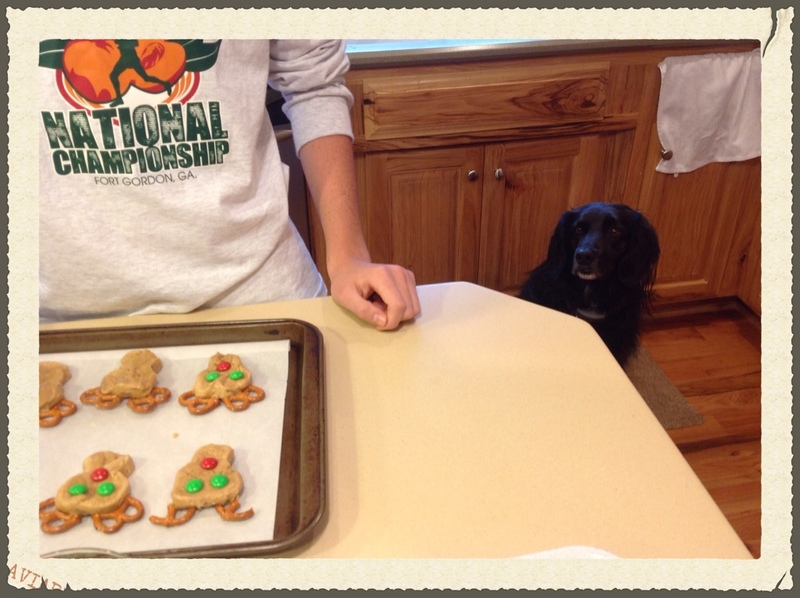 Sam is hoping one will jump off the tray. 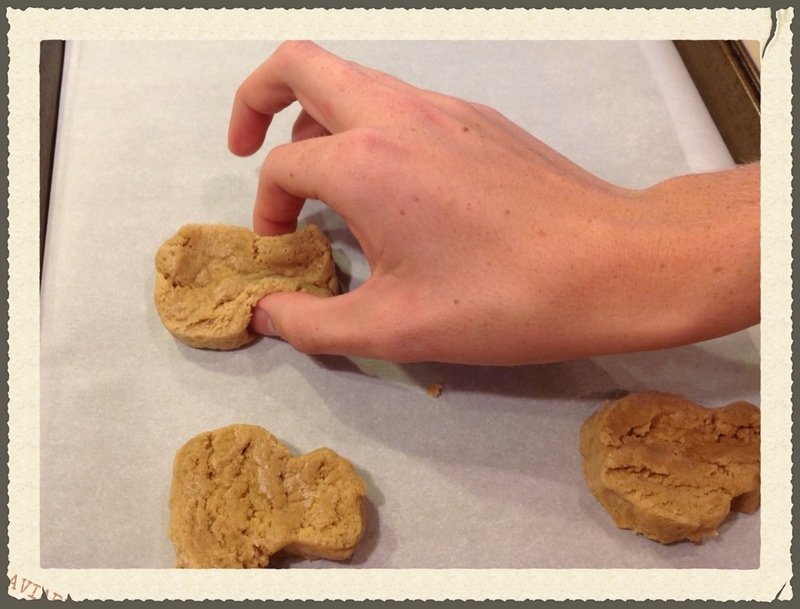 A few weeks ago, I made some cookies and while they were cooling on the rack, I went to vacuum. When I walked back into the kitchen, there was an empty cooling rack on the floor! Sam innocently sat there wagging her tail. Needless to say, she got kicked outside. 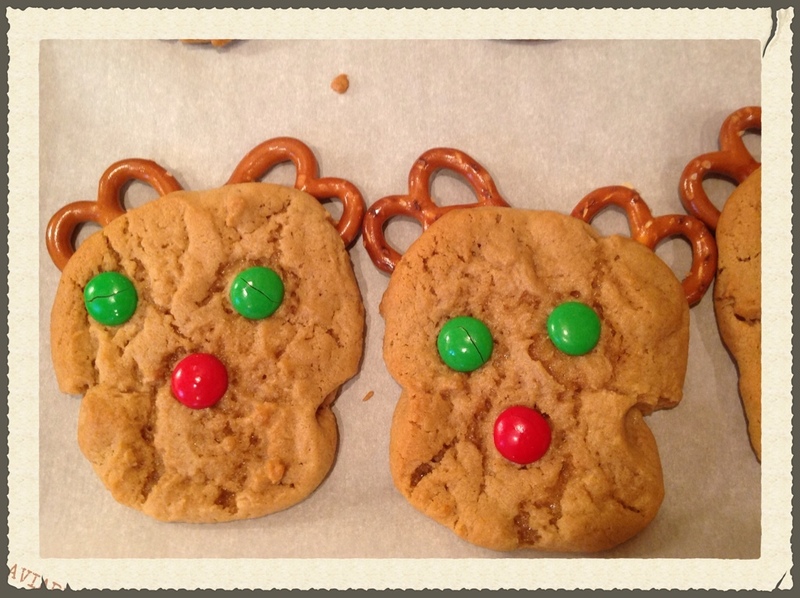 Anyway…bake the cookies for 10 min at 350 degrees. 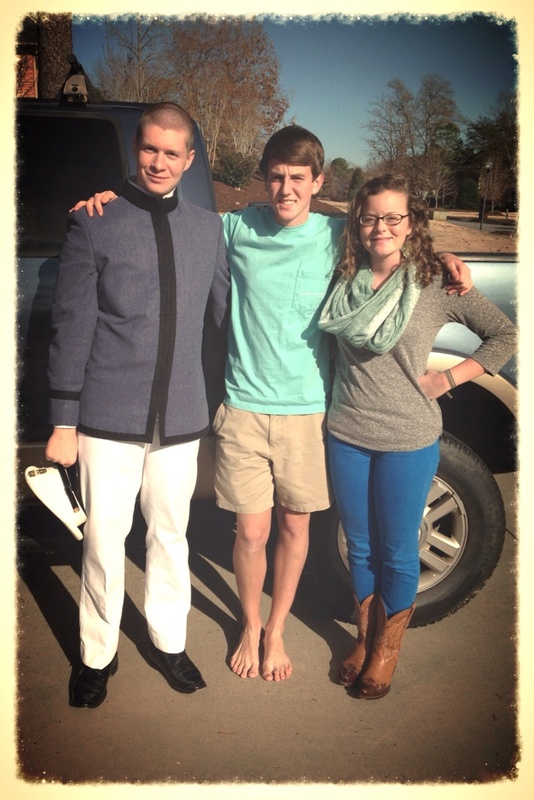 So, see that handsome kid in uniform there on the left? 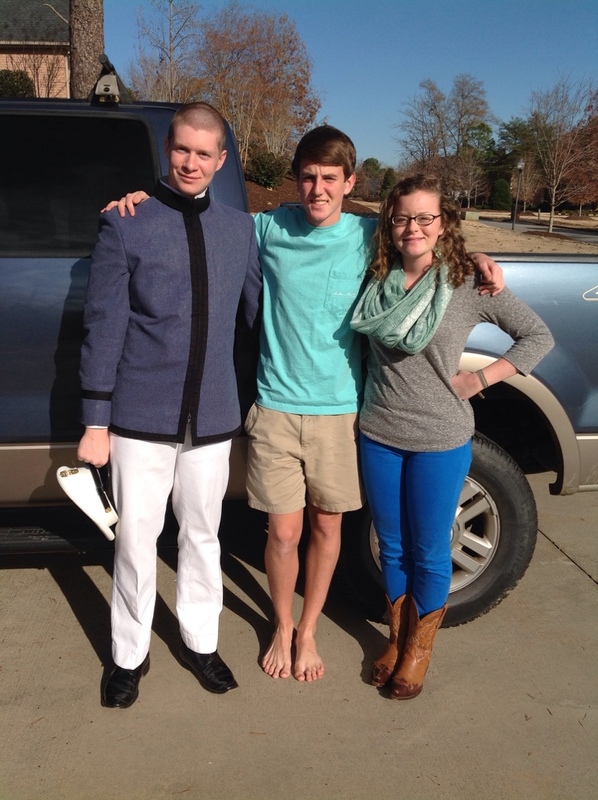 Well, he’s starting his college exams this week. What would help him study and succeed during this stressful time? 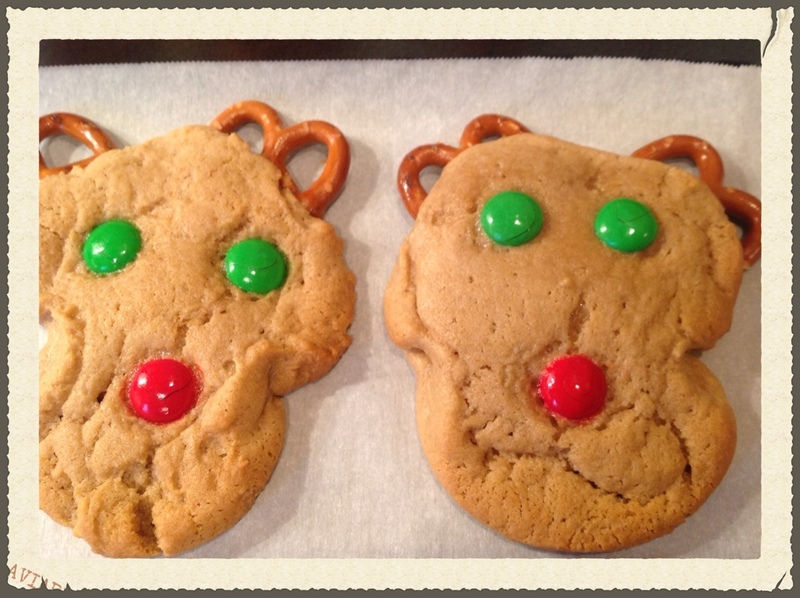 Reindeer Cookies!!! A box has been packed and shipped to Charleston. Enjoy, Sweet boy! 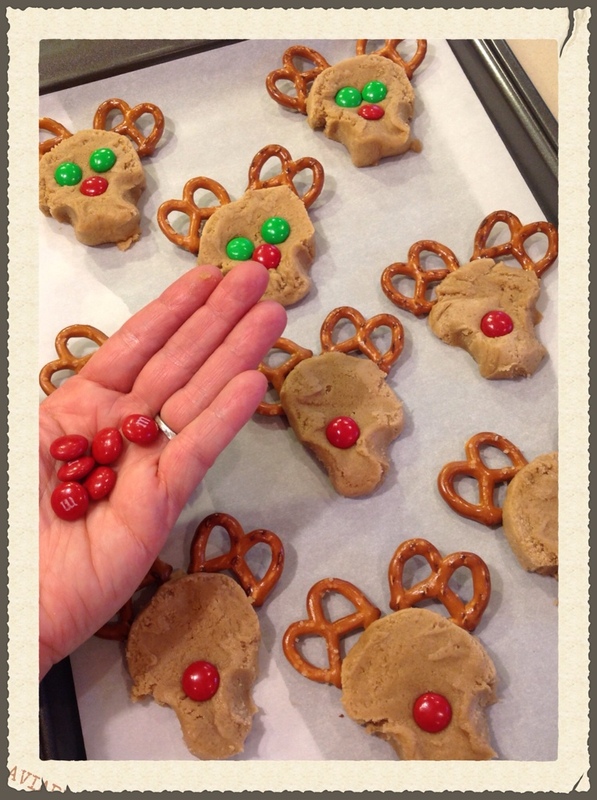 Do you have any special treats that you bake or make during the Christmas season? Share with me in the comment section below! Thanks for stopping by! 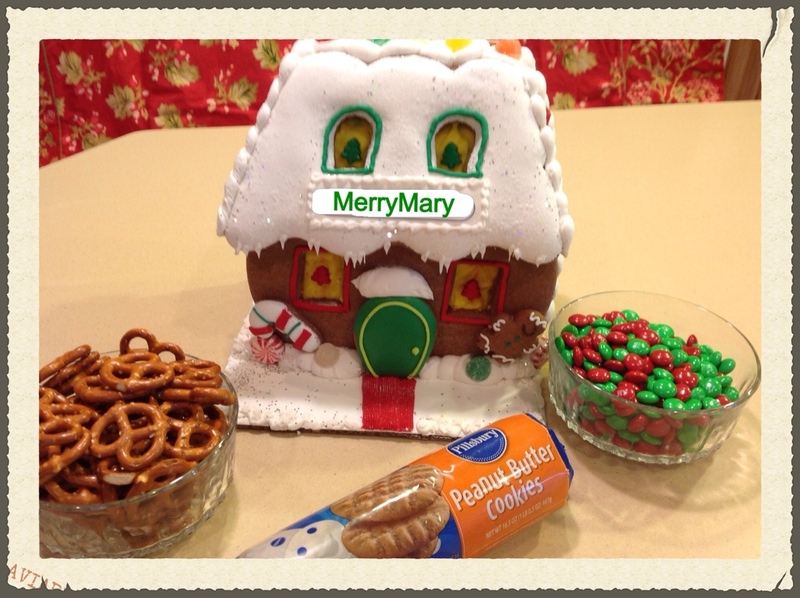 Posted on December 10, 2013 by mary •	This entry was posted in family, Recipes and tagged Christmas, cookies. Bookmark the permalink.